Canada's economy added another 45,000 jobs in June, bumping the unemployment rate down to 6.5 per cent. 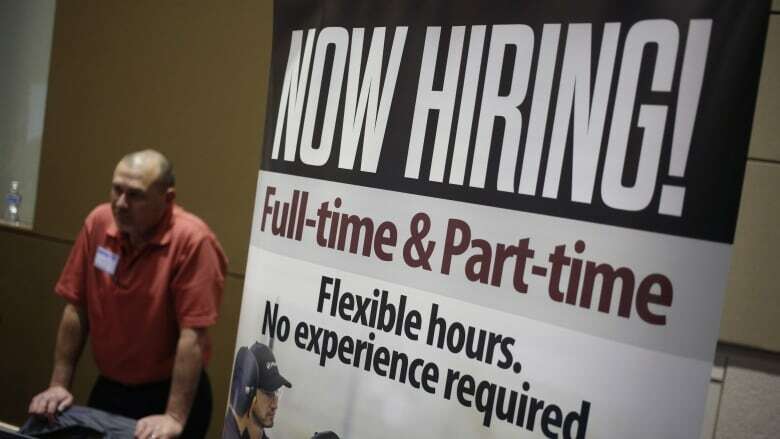 Statistics Canada reported Friday that most of the new jobs were part time. There were 37,000 new part-time jobs and about 8,000 new full time jobs created during the month, the data agency reported. The June numbers mean Canada's economy has now added jobs in all but two of the last 12 months, and has created 351,000 new jobs over that time, most of them full-time ones. Seasonally adjusted on an annualized basis, that means Canada's economy has added more than 400,000 jobs in the past year, something that hasn't happened since 1979. "It's absurdly strong," Scotiabank economist Derek Holt noted, "and the Bank of Canada's recent business outlook survey has CEOs saying they expect to continue hiring at a decent pace over the coming year." Most of the jobs in June came in Quebec and British Columbia, which added 28,000 and 20,000 jobs, respectively, during the month. Everywhere else, the job market was either slightly higher, or slightly lower. The job numbers are the last major data release before the Bank of Canada meets next week to set its benchmark interest rate, and the consensus view in recent weeks is that the central bank will hike rates for the first time in seven years because the economy is starting to heat up. Friday's job numbers will do little to change that plan, CIBC economist Avery Shenfeld said. "Today's jobs numbers cement the case for the central bankers to raise rates in the coming week," he said, adding that Canada's job market is getting close to what economists consider to be full employment — when just about every adult who's able and willing to work has a job. "Over to you, Gov. Poloz," Shenfeld said, referring to central bank head Stephen Poloz.